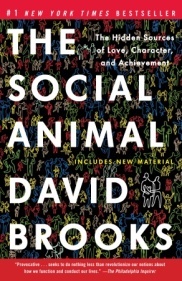 If I were to say David Brooks’s The Social Animal is one of the most insightful, illuminating books I’ve read this year, I’d be selling it far short. It’s one of the most insightful, illuminating books I’ve ever read. Using the fictional characters of Erica and Harold (who eventually meet and marry), Mr. Brooks takes us through the major stages of life (infancy, teen years, first job, later career, middle age, retirement, death), shedding light, at each stage, on how the vortex of culture, sociology, and unconscious cognition combine to direct a life. In a Western culture largely predicated on the preeminence and dominance of Reason (or so we like to think), this is—pardon the pun—heady stuff. I could go on and on about this book (and have, to my friends, bless their hearts! ), but I’ll end with one summarizing statement: Once in a great while, a book comes along that is so eye-opening that it alters how you see the world forever. This is such a book. In recent years, there has been a marked surge of interest in libertarian philosophy in the Nashville area and around the U.S., particularly—and quite interestingly—among young people. One manifestation (among many) of this trend: the popular cable TV news program The Independents, whose female host, Kennedy, is young and zany, yet deeply committed to the tenets of personal and economic liberty. Within the past two weeks, a new chair of the Libertarian Party of Williamson County was appointed, in the person of Jim Buente. In this exclusive interview with Underground Nashville, Mr. Buente and Jim Tomasik (Chair of the Libertarian Party of Tennessee), shed light on the local party’s goals and mission. UNDERGROUND NASHVILLE: What is your #1 goal for the Libertarian Party of Williamson County in the coming year? JIM BUENTE: To get organized! We are planning to hold an informational and organizational meeting in early March. At this meeting, I will show a video including our National Libertarian Chair about what it means to be a Libertarian. Then, Jim Tomasik will give an update on state legislative issues. Finally, I will lead a discussion on how we might organize the Williamson County chapter. At the next meeting, we will elect a board of directors and review, revise, and approve bylaws. Then the real work will begin. I envision us researching, analyzing, and then taking positions on local issues. Then we will begin to speak out at public meetings and in the media about our positions. Eventually, we will recruit and help elect Libertarian Party candidates for national, state, and local offices. UN: Tennessee is an overwhelmingly Republican state. In general terms, how would Tennessee be different if its governor and a majority of its General Assembly were Libertarian, instead? JIM TOMASIK: I think there would be a significant improvement in the lives of a majority of its citizens. [For example], a citizen would not have to worry about his property being annexed without his vote or consent . . . He or she would be able to travel throughout the state without fear of his cash being stolen by law enforcement officers . . . LEO [law enforcement officers] would not be allowed to endanger the lives of citizens or other LEO, because “no-knock raids” would be a thing of the past. [Finally, you] wouldn’t be penalized or given special favor by the government for having a personal relationship with another consenting adult. You wouldn’t be forced to purchase anything [you did not] wish to purchase. [You] would have the choice of more than two political parties on an election ballot. UN: What do you believe is the single biggest misconception people have about members of the Libertarian Party? JIM BUENTE: I’d say a lot of folks just don’t really know what it means to be a Libertarian. It’s pretty simple. We are for maximum liberty and minimum government. As we go forward, our principles of maximum liberty and minimum government will be the standard we use on all issues. Editor’s Note: Roy E. Perry deems the following review one of the most important he has ever written for “Underground Nashville.” We think you’ll agree. Mr. Perry, the self-described “amateur philosopher of Nolensville,” wrote book reviews for “The Tennessean” and “Nashville Banner” for thirty years. The cover of Arthur Herman’s The Cave and the Light: Plato Versus Aristotle and the Struggle for the Soul of Western Civilization (2013) shows an insert of Raphael’s famous painting “The School of Athens,” in which Plato’s hand points to the heavens, toward the ideal forms of Truth, Goodness, and Beauty, while Aristotle’s hand is lowered toward the Earth, to the empirical realities of the actual world in which we live. Herman’s thesis is that these opposing world views have been in conflict for two-and-a-half millennia, and continue to be so in our own 21st century. Although the struggle of Plato and Aristotle—the two greatest philosophers of the ancient Greek world and perhaps two of the greatest of all time—may be characterized as the mystic and idealist (Plato) versus the realist and empiricist/scientist (Aristotle), both philosophers have their strong and weak points. Herman perceives the spiritual disciples of Plato to be Rousseau, Hegel, and Marx, and the heirs of Aristotle to be Voltaire, William of Ockham, John Stuart Mill, David Hume, John Locke, Thomas Jefferson, and James Madison. Plato’s approach is deductive—as when one sits in his or her easy chair and dreams up a priori “truths” that are considered necessarily and absolutely true. Plato muses concerning an alleged “true world” of Being. Aristotle’s approach, on the other hand—with its strong affinity to biology and the natural world, similar to that of Charles Darwin at a later date—is inductive, involving the scientific method of observation, collection of data, classification, constructing hypotheses, performing experiments, and forming theories about our actual world of Becoming. In the political realm, Plato’s Republic envisions a utopia in which everyone works together collectively and cooperatively. In the wrong hands, however, such utopias become like the dystopia described in George Orwell’s 1984. Herman, in fact, charges Plato and his disciples with setting the stage for Stalin’s communism, Mussolini’s fascism, Hitler’s Nazism, and Mao Zedong’s Red Guard. Utopian schemes, he asserts, often lead to the hangman’s noose, the firing squad, the guillotine, gulags, and concentration/death camps. Ranging through the history of Western thought, Herman looks at the ”Plato versus Aristotle” tension from the pre-Socratics to the Digital Age of the Internet. Curiously, he omits any discussion of the existentialism of Jean-Paul Sartre and Albert Camus, gives short shrift to Arthur Schopenhauer and Immanuel Kant, and makes no mention of the post-modernism of Jacques Derrida. While many philosophical works are dry and boring, Herman’s narrative snaps, crackles, and pops with user-friendly portraits of the key figures of philosophical thought. It is replete with fascinating anecdotes and analogies, and occasional flashes of humor. One weakness of Herman’s work—as other critics have pointed out—is it suffers from a “Manichaen dualism”—an ancient Gnostic religion that divided humanity into “Children of Light” and “Children of Darkness.” For most of his book, Herman’s neo-Manichaeism deifies Aristotle and demonizes Plato. Surprisingly, Herman’s conclusion (see the book’s final chapter, “From the Cave to the Light”) reverses the thesis of the entire work. We must reject neither Plato nor Aristotle, Herman warns, but strike a balance between, or synthesis of, Plato’s philosophical idealism and Aristotle’s scientific empiricism. 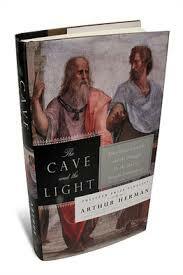 Despite its flaws, The Cave and the Light is one of best one-volume surveys of philosophy available. To be sure, take what Herman says with a grain of salt, but profit from the author’s insights into the permutations of philosophical thought through the millennia, which has witnessed an uncanny clash of philosophical idealism and philosophical materialism. Alfred North Whitehead once said, “The safest general characterization of the European philosophical tradition is that it consists of a series of footnotes to Plato.” Herman asserts this is only half true: that, in fact, it consists of a series of footnotes to Plato and Aristotle. I recommend this book highly, giving it five stars out of a possible five. However, read this treatise for yourself, and make your own evaluation and judgment of its merits and/or demerits. You’ll get clear, specific answers when you attend the next Nashville Music Industry Luncheon on Thursday, February 27 at 11:30 a.m. at Belcourt Taps. 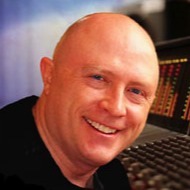 The guest speaker at the event, Gary Earl, will present “What Film and TV Music Supervisors Are Really Looking For.” From his insider’s perspective, he will reveal what “works” in a song, what doesn’t, and why. The cost of the luncheon is $20 if paid by Friday, February 21; $25 if paid later or at the door. The price includes your lunch and a soft drink. Editor’s Note: What happens when a noted Southern literary artist takes a stab at writing a crime/mystery novel? In his latest review for “Underground Nashville,” Roy E. Perry concludes “it ain’t a pretty sight” (our words, his sentiment). Mr. Perry wrote book reviews for “The Tennessean” and “Nashville Banner” for thirty years. Born in Winston-Salem, North Carolina in 1956, Thomas Reid (T.R.) Pearson is the author of thirteen novels published under his own name. 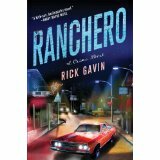 Written under the pen name Rick Gavin, Pearson’s Ranchero (2011) is the first of three crime novels featuring a repro man named Nick Reid. When Reid drives his Rachero to Percy Dwayne Dubois’ dilapidated shack in Indianola, Mississippi, to repossess a plasma TV, he meets with a painful reception. Percy Dwayne slams Reid in the head with a fireplace shovel, knocking him out cold. When Reid regains consciousness, Dubois, the plasma TV, and the Ranchero are all gone. Accompanied by his fellow repro man and best friend—a 350-pound man named Desmond who is addicted to Sonic’s Coney Islands—Reid sets out on a convoluted journey through the bayous, swamps, and backcountry towns of the Mississippi Delta to retrieve the purloined Ranchero. During Reid and Desmond’s peregrinations, they meet a dumb, mean policeman named Dale, who has ventured several steps into the shadowy world of criminality, and a meth lord named Guy, a runt who compensates for his lack of stature by being psychotic, diabolical, and volatilely dangerous. Guy now possesses the stolen Ranchero, and his lackeys cook up potent doses of methamphetamine. I have read ten of T. R. Pearson’s thirteen novels, and have greatly enjoyed every one—especially his first published novel, a comic masterpiece titled A Short History of a Small Place (1985). The quality of Ranchero, however, falls distressingly below Pearson’s previous works. “Rick Gavin” is no Raymond Chandler, Dashiell Hammett, or Sir Arthur Conan Doyle. I suspect Mr. Pearson himself was aware that Ranchero was not up to par, and so foisted this sub-standard writing experiment on poor “Rick Gavin.” My advice to Mr. Pearson: Return to the scene of your earlier, hilarious works—to the quirky, exasperating, lovable, and funny denizens of Appalachia. Editor’s Note: The self-described “amateur philosopher of Nolensville,” Roy E. Perry wrote book reviews for “The Tennessean” and “Nashville Banner” for thirty years. In his latest post for “Underground Nashville,” Mr. Perry presents another in a series of reviews of the work of Southern novelist/humorist T.R. Pearson. In working my way through T. R. Pearson’s thirteen novels, I have now finished his ninth, True Cross (2003). This is another of Pearson’s satirical, hilarious dissections of the denizens of a small backwater Virginia town. Narrated by Paul Tatum, a feckless and failing accountant who prepares “creative tax returns” for those intent on evading IRS audits, the story centers on Stoney, Tatum’s next-door neighbor, a local jackleg handyman and jack-of-all-trades. The best-drawn character in the novel, Stoney discovers that he bears a spooky resemblance to the hero in Carpaccio’s famous 16th-century masterpiece St. George and the Dragon—a revelation that inspires him to become a knight errant whose mission is to alleviate the sufferings of mankind and rescue damsels in distress. The plot thickens when Paul and Stoney learn that Maud Hooper, a comely and willowy woman, is being abused by her domineering husband, Douglas, a rich man who has shadowy connections with the New York City mafia. Goaded to action by Tatum, and inspired by his (Stoney’s) Messiah complex, Stoney sallies forth to right the wrongs as he sees them, an ill-advised moral crusade that ends in tragedy. As usual in his narratives, Pearson indulges in (seemingly) trifling tangents, so that we all but lose the thread of his disquisitions. After many digressions and rabbit chasings, however, the plot finally reaches its unsettling goal. Although True Cross is not Mr. Pearson’s best work, it contains enough of his trademark hilarious hi-jinks and satirical portraits of his characters’ quirky idiosyncrasies to evoke numerous laughs. I may have been dozing, or simply am dense, but I have yet to discover what the title “True Cross” means. You are currently browsing the Underground Nashville blog archives for February, 2014.